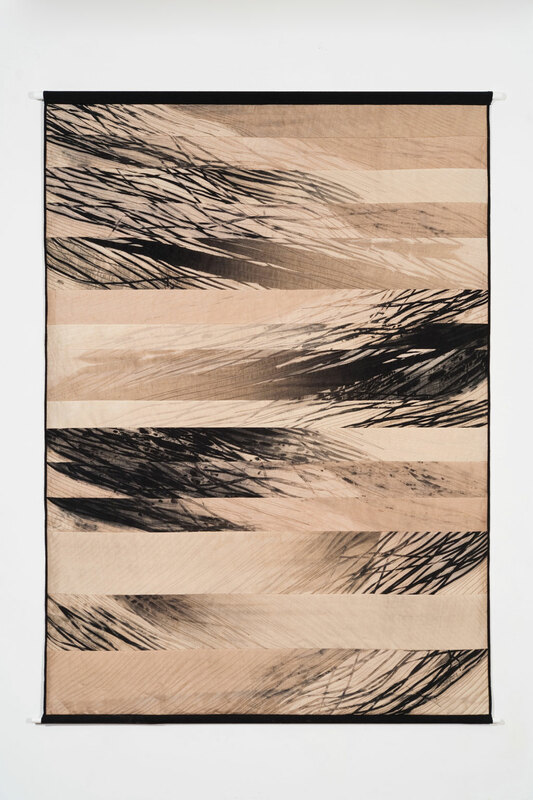 Judith Content (b. 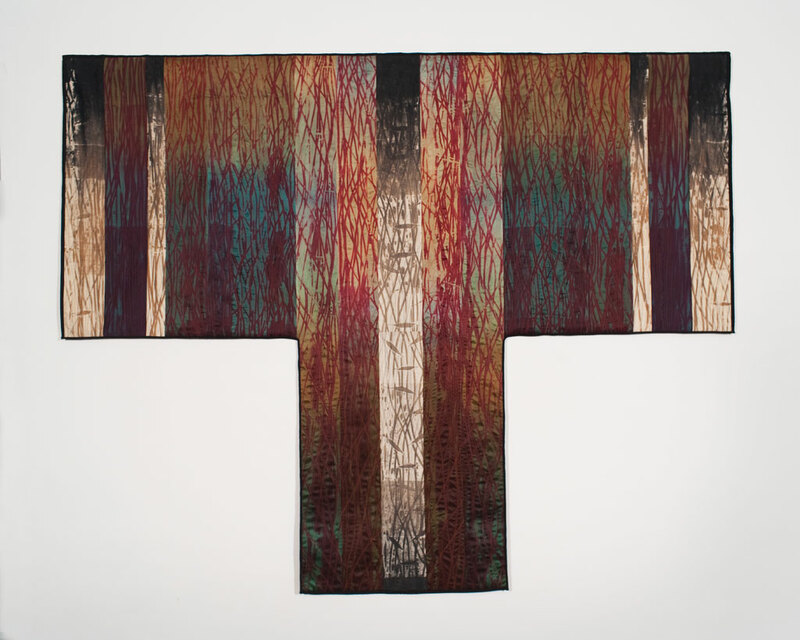 1957) is a fiber artist in Palo Alto, CA, who utilizes a contemporary interpretation of the Japanese dye technique, Arashi Shibori. 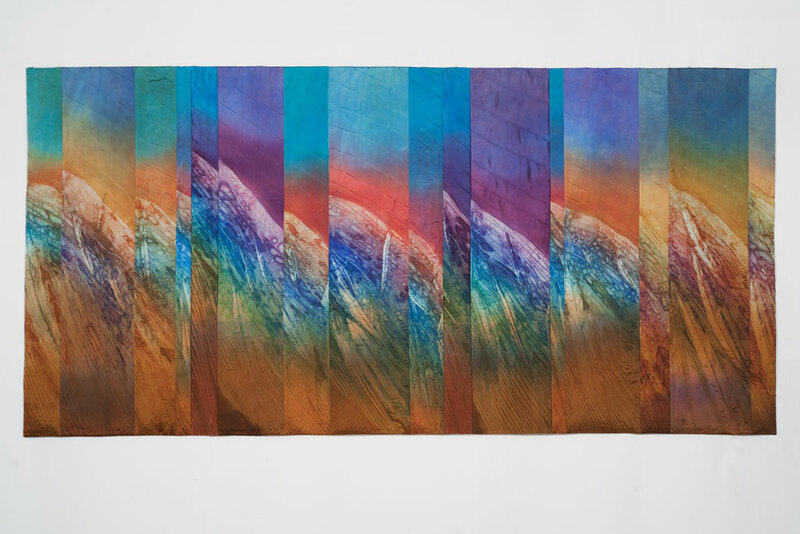 Her hand-dyed, quilted, and pieced silk wall pieces often depict elaborate landscapes that are inspired by the mystery and majesty of the Pacific coastline. 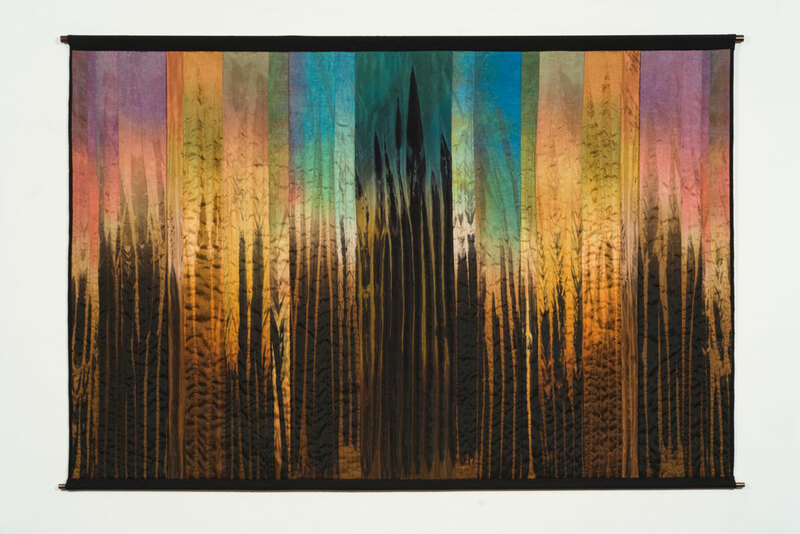 She received a BFA from San Francisco State University with an emphasis in textiles. 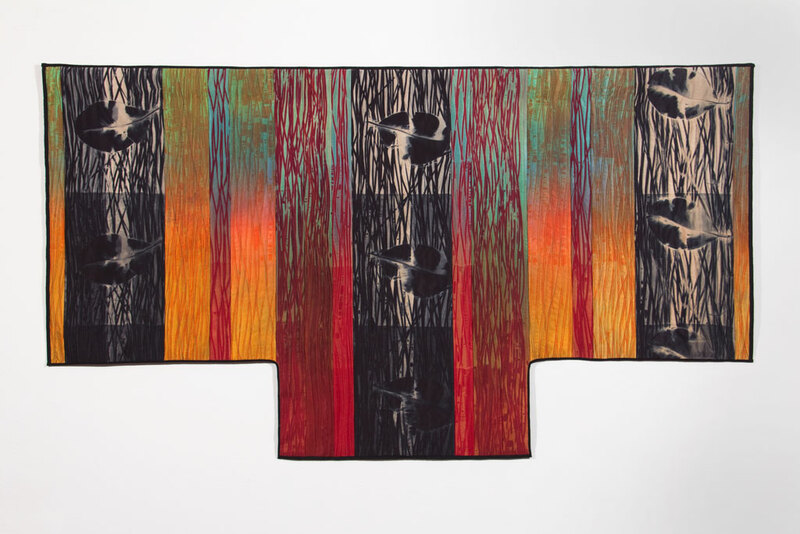 Her work can be found in the collection of the Fine Arts Museum of San Francisco, the Museum of Arts and Design in New York City, and the International Shibori Collection in Nagoya, Japan.